We fired 20 crazy questions at these amazing two. Ready, steady, go! 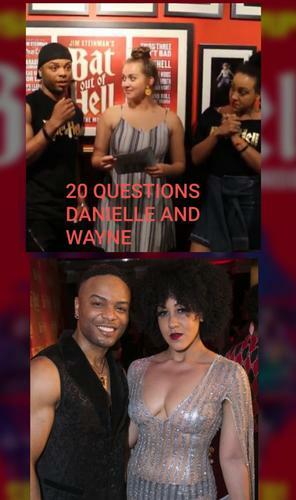 If you want to know what is the favourite food of Wayne Robinson or something naughty that a fan told to Danielle Steers , just look at the video and see the 20 questions we fired at these amazing two. Guys, we could not stop laughing behind the camera. We love you, and we love Bat out of Hell . It is really an unmissable show! Thanks to Evie for the help and Holly for organising this.